Peter Bagge’s HATE was an amazing hit for a ’90s indy comic, outselling some Big Two titles. Tim, Kumar, and Tom Spurgeon talk about some of the amazing aspects of this strip, and discuss whether it’s accurate to classify it as a comic about slackers. This week we bring you something new as the guys sit down with Kirby Krackle’s Kyle Stevens. Kirby Krackle is a “nerd rock” band. Writing and performing songs about topics they are passionate about like comic books, video games and nerd culture. The guys sit down with Kyle and talk music, movies and comics. Don’t forget to check out their new album being released next month Mutate Baby, featuring the single No Spoilers please. So sit back and enjoy! #stumpthegeekspeak question of last week: In the 90’s Micheal Jackson tried to buy Marvel. Why did he want to buy them? Answer: He wanted to play Spider-Man! And the winner is Constance Chesney! Congrats Constance, you are the geek of the week! #stumpthegeekspeak question of the week: Name 3 comic book artists that have done album covers and the albums the drew covers for. Don’t forget to sign up for our mailing list. Never miss a Super Hero speak update/episode again! 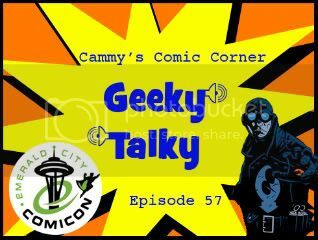 In this episode I recap my second day at the Emerald City ComiCon in Seattle. Sci-Fi Speed Dating, locating the secret TR!CKSTER bar, and seeing artists paint on naked people. 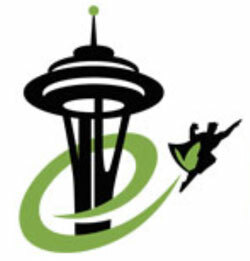 March 30 – April 1, I will be in Seattle attending the 10th annual Emerald City Comicon. This episode we (Travis, a special guest, and I) discuss the con, why we’re so excited about it, and what we’re looking forward to. Brandon’s back in Japan (and yes, we’re OK following the earthquake! 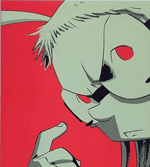 ), and he and Tim discuss I Kill Giants, by Joe Kelly and JM Ken Niimura. In approaching an emotional topic through fantasy, blurring the lines between the two, is it effective or confusing? Also, part 2 of Tim’s report on Emerald City Comicon! Notes and links below the jump. Deconstructing Comics #268: Emerald City 2011, pt 1! Armed with an awesome press pass, Tim walks the floor of Seattle’s Emerald City Comicon! It’s his first time attending a con, and as everyone keeps telling him, for a first-con experience, you can’t beat Emerald City. As he gathers material for future episodes of this podcast, Tim collects quick interviews, with creators known and unknown! All the names and links are below the jump! Tim’s Emerald City photo album on Facebook! 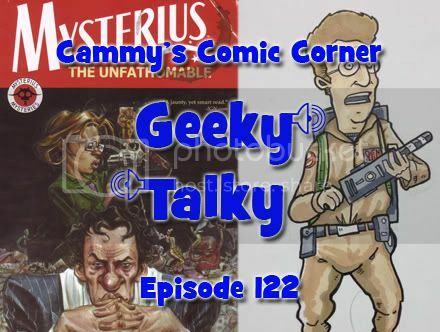 In this episode, I’m joined by friend of the show Lobster Johnson, and he talks about what he saw at the Emerald City ComiCon this past weekend. He’s also very mean to me.